What can Canada learn from Finland, Sweden, and Norway about the National Action Plan on Women, Peace and Security? C-NAP is intended to guide the Government of Canada in the implementation of SCR 1325 and the related WPS resolutions. However, since 2000, 18 countries have developed their own National Action Plans on the Women, Peace and Security Resolutions. Finland, Norway, and Sweden in particular have very impressive plans. Based on the review of these plans, I suggest that four pressing changes should be made in order to improve Canada’s existing C-NAP. First, the government can further demonstrate its commitment to WPS agenda by establishing a committee that is made up of ministries, research institutes and NGOs. It should be completely dedicated to reviewing the implementation of C-NAP and WPS objectives. It could also produce progress reports, which are currently being done by the Department of Foreign Affairs, Trade and Development. The government, of course, needs to ensure that the committee is properly funded and resourced. Third, C-NAP should describe the specifics of WPS-related training received by security and defence forces. The following specifications should be discussed: who – the departments and the personnel that will be trained and the ones to do the training; how – the manner of training provided should be targeted to the departments and their teams’ specific needs i.e. classes, seminars, symposiums, boot camps; what – the specific topics should be carefully chosen and explicitly stated i.e. 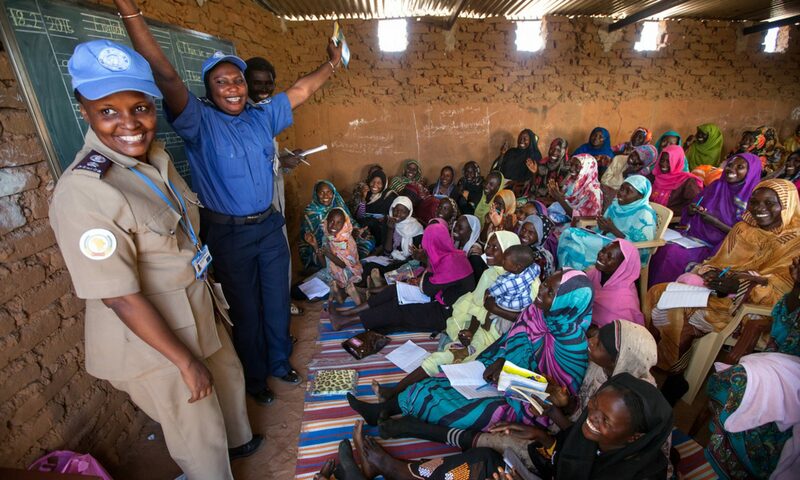 WPS resolutions, gender perspective, sensitivity training, international law, human rights; and when– the length of training and its timing should be specified i.e. before being deployed on international operations. Fourth, C-NAP should discuss partnerships with NGOs, research institutions, government organizations and other governments in effort to further WPS agenda. “Twinning Partnerships” with developing countries should be explored in order to help them create gender mainstreaming projects and their own NAP. Furthermore, NGOs and research institutions should be collaborated with to increase the amount of research and development projects that respect and promote WPS agenda. Lastly, WPS agenda cannot move forward without proper funding. Therefore, C-NAP should describe in detail its funding commitments. Furthermore, the Government could consider tying gender perspective requirements into certain grants/funding or alternatively, providing funding for NGO programs that integrate gender perspectives. As it stands, the current C-NAP and Canada’s commitment to WPS agenda can still be greatly improved. The Government of Canada can start strengthening its commitment to WPS agenda by rewriting C-NAP to include clear commitments, benchmarks, and the above-mentioned recommendations. Author: Margaryta Yakovenko. She is a recent graduate from the Graduate School of Public and International Affairs at the University of Ottawa. She specializes in peacebuilding, conflict resolution, and security sector reform. She is currently interning with Women, Peace and Security Network – Canada. Next PostNext #16Days: A Time to Challenge Militarism and End Gender-Based Violence – In Canada and Around the World!